Leading experts on foreign policy in Delhi think Modi has brought in pragmatism and energy but he should also engage with West Asia. 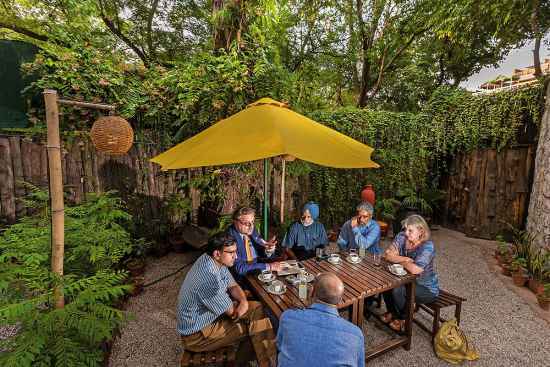 Nestled between Lodhi Gardens of Delhi and the Islamic Centre, ‘Lodi’ the garden restaurant is as good a place as any in the capital to get a group of leading exp­erts started on a discussion on foreign policy. The leafy shades of the surrounding trees and the birdsong create the ambience of the famous garden next door. Our five panelists arrive on time—a bright 5.30 in the evening—and we get into our discussion. So how has Prime Minister Narendra Modi fared in the first year on the foreign policy front? There is agreement in the panel that Modi has brought a vigour, energy and pragmatism that was lacking, especially in the past two years. Much of this perhaps stems from the majority he enjoys in Lok Sabha—something that many of his predecessors lacked. For Centre for Policy Research’s Srinath Rag­h­avan, Modi’s handling of relations with both the US and China has been impressive. 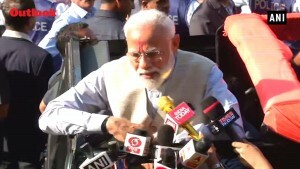 “When the US president was here, he came out with a joint statement on the Indian Ocean, but when he went to China he did not hesitate to issue a joint statement on climate change.” That, says Raghavan, shows Modi’s pragmatism, where he is not hesitant to ‘play both sides’ where India’s interests are concerned. “In that sense, it also shows a kind of continuity of India’s policies,” he opines. However, pragmatism and style may all be fine, but can Modi or India aspire to be a global player only by engaging with the G-20 countries? “What about the African nations, how about our engagement with countries like Indonesia and Malaysia; more importantly, what about India’s interaction with the Arab world and Islamic countries?” asks former Indian diplomat K.C. Singh. The point he makes is taken up by others who go into detail to stress the importance of West Asia. With a seven million-strong Indian presence who send back over $70 billion rem­ittance each year and trade worth $300 billion, besides being the main source for India’s ene­rgy—this should be the region which requires much more engagement and pampering, the panelists argue. Yet, successive governments in New Delhi, they point out, have chosen to ignore it and travelled there only occasionally. This is also true for a premier like Modi, who in his first year in office has travelled widely but not to the Gulf. 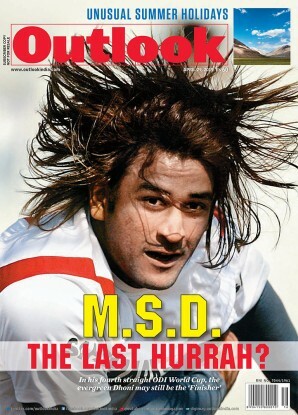 “Maybe he will take some corrective measures and go there in the coming months,” says Raja Mohan. But despite success in these areas, there rem­ain concerns on a number of areas. The regular attacks on Christians, churches and foreign NGOs are likely to change the discourse in the West from the ‘India story’ to its lack of religious freedom. More import­antly, Modi’s inability to share the credit with other cabinet ministers and the opposition—which could have helped in building broad consensus on key issues—can be a major area of bother. “Modi should realise this is not a one-man high-wire act,” says K.C. Singh. But the Spa­nish ambassador argues that there is a growing trend among leaders in democracies all around the world to become “more presidential” in nature. “Look at Angela Merkel or David Cameron or to other leaders in Europe—they are all becoming presidential in nature. It is perhaps the gravitas of the office they hold that is responsible for this,” he points out. So while the first year of Modi on foreign policy looks good, there are also some iss­ues on which the PM needs to mull over. “This was perhaps the easiest part; now comes the tougher phase,” cautions Raghavan. He points out that while in some engagements, like with China and the US, ‘deliverables’ will take long to come, it is countries like Nepal where it may get tougher for India. “A number of issues have come to the fore in wake of the earthquake in Nepal. Apart from rehabilitation, there are some more ser­ious issues like restarting and completing the constitution-making process—all that will be under focus,” says he. According to Raghavan, in the absence of a proper architecture to follow up on these broad foreign policy moves, India may find its future engagement with many of these countries getting tougher. Many more suggestions such as these are likely to be thrown up in the coming days. It’s up to prime minister Modi to sift through all these and recalibrate his future policies.